With last month’s publication of the 2018 Michelin Guide for the Bay Area, the big story was San Francisco’s surpassing of New York as America’s fine dining capital. To be sure, it’s a big deal: we’ve now got seven 3-starred restaurants in the Bay Area, compared to New York’s five. But anyone paying attention to the flourishing San Francisco dining scene over the past few years could have predicted the shift, to the point where it almost felt like a foregone conclusion. Of course, food writers have been abuzz, but most of them have buried the real lead: Californios, Val Cantu’s (Uchi, Pujol, Sons & Daughters) $157-per-person Mexican tasting menu in the Mission, was awarded its second Michelin star, making it the very first Mexican restaurant in the United States to ever be so honored. 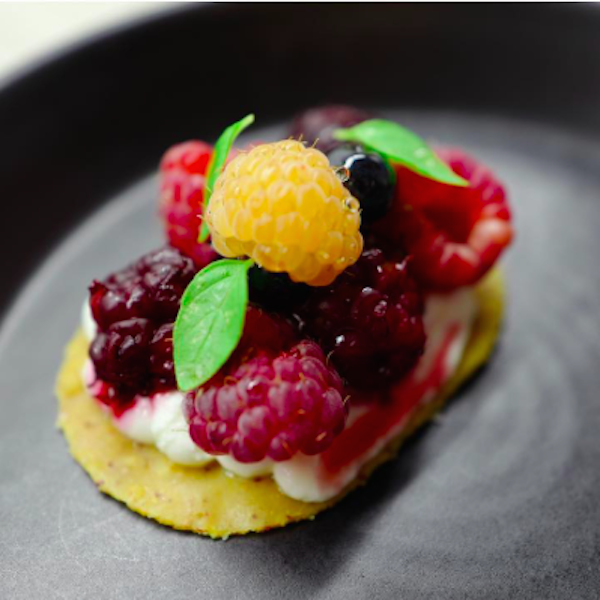 As if that weren’t enough, later the same week the restaurant was inducted into yet another lofty dining circle when the Chronicle’s Michael Bauer jumped on the bandwagon and awarded Californios a perfect four stars. This makes Cantu’s Mission spot one of only eleven restaurants to currently hold that rating. It’s clear, Mexican cuisine is being perceived differently today: restaurants like Californios and Gabriela Camara’s Cala in Hayes Valley have shown that fine dining and Mexican food are by no means mutually exclusive. Likewise, regional Mexican cuisine is on the rise, as the booming restaurant scene in Mexico continues to make its presence felt north of the border. Two more down-to-Earth examples of this are Panuchos in North Beach and Los Mayas on Clement Street in the Richmond District. Both Yucatan-style, they were opened by owner Juve Carrillo over the past 16 months, Carrillo’s first restaurants of his own. At only 26, Carrillo had already spent nearly a decade at popular Bella Trattoria when he decided to create his own project. We spoke with him at Panuchos earlier this week. Likewise the churros, which are like nothing I’ve ever had. 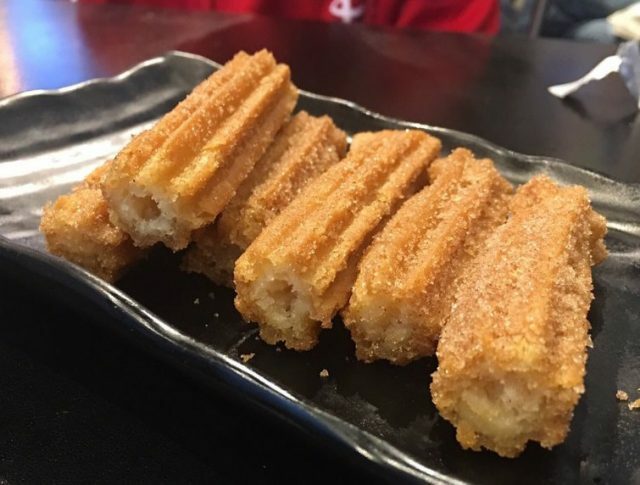 I grew up just outside of Miami, and know something about churros. I’m not very partial to sweets, and was resistant at first. I recently gave in though, and these babies are delicious. If you’ve never had one, it’s basically a long doughnut, perfectly crunchy crust giving way to a center of rich cream. They make you wonder why you can’t just eat this for breakfast every day for the rest of your life. No really, they’re that good. 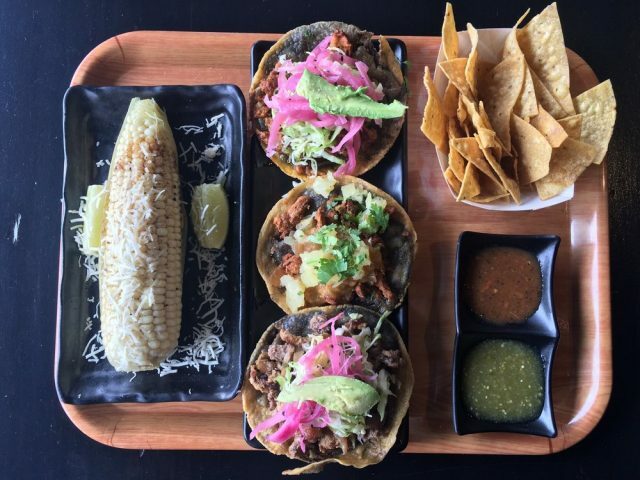 Of course they’ve got exemplary tacos and burritos, but it’s the less common items that make these spots shine. Really, you can’t go wrong on either menu, and it’s truly an education in Yucatan-style food. Make a point to visit. We will be back soon with more tasty morsels from the Magic City. To stay in the circle, subscribe to our newsletter on this page. See you on the street!